A house and land package is where you have the land contract (the contract to buy the land) at the same time as you have the construction contract (the contract with the Perth or Sunshine Coast builders to build the house you want). 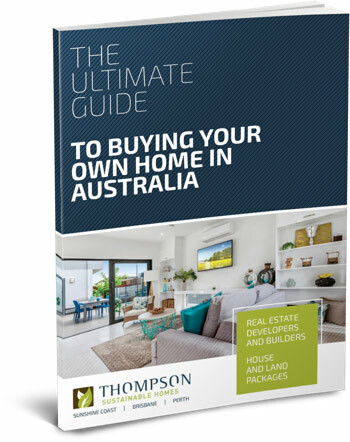 Generally, a house and land package is sold by Western Australia or Queensland builders and developers, so you are actually buying the land from the builder/developer who will proceed to build your home on your purchased land. This means that both contracts are in play at the same time. What normally happens is that a house and land package is advertised by a Sunshine Coast or Perth builder as a complete dwelling at the finished price, for example, $380,000; behind the scenes, however, there are in fact two contracts. The first is a land contract, let’s say for $180,000 and a second construction contract for the balance of $200,000. The reason why this is important is that some borrowers think that they are not required to pay any home loan repayments until the property is built and completed and they are ready to move in. This is incorrect because in a house and land package you must purchase the land first and also have the money ready to pay for building your home as well, even though the building payments may be paid incrementally to your Sunshine Coast or Western Australian builders during the building process. If you don’t want to make any home loan repayments until you move in, then you need to look for an off-the-plan purchase, rather than a Sunshine Coast or a Perth house and land package. In reality, with a West Australia or Sunshine Coast house and land package, what happens behind the scenes is that the land contract will settle first, so the developer will take payment on the land first. This means that your home loan will be drawn on and repayments will begin to be made to your Sunshine Coast, Perth or Brisbane builders before construction has commenced. It is important to remember that your loan repayments are only calculated on what has been drawn to that date. This means that if the loan for the land was $180,000, your repayments are only required on the $180,000 loan, not the full $380,000. With a Sunshine Coast or West Australia house and land package, this means that will have to make repayments on the land loan, whilst you are still renting or paying a mortgage on your existing property. Therefore, it is essential to budget correctly and to be aware of all of the costs involved in building your new home. You will need to financially support your family during the construction phase of your new home. Once the land is settled (you have paid for the land), the Perth or Queensland builders will start construction and will request progress payments during the construction phase. The first payment is generally for when the concrete slab is poured, so the bank will pay your West Australia, Brisbane or Gold Coast builders for this work. If the payment was $25,000 then your loan would go up by $25,000 and as such, your repayments would increase slightly. As your loan increases, your repayments increase accordingly. If you would like to take advantage of the current grants being offered by various state governments, contact Building Loans Australia. This company are experts in assisting with home loans for Queensland and West Australia house and land packages, using the building grants on offer as the deposit or to contribute towards the deposit and costs; they are a free service. 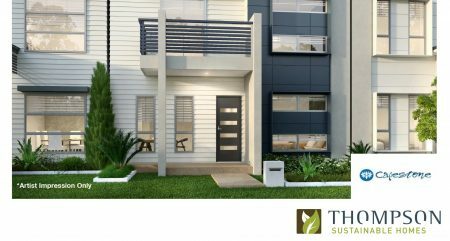 To contact the leading Perth and Sunshine Coast builders, call Thompson Sustainable Homes on 1300 904 040 or complete our online enquiry form.